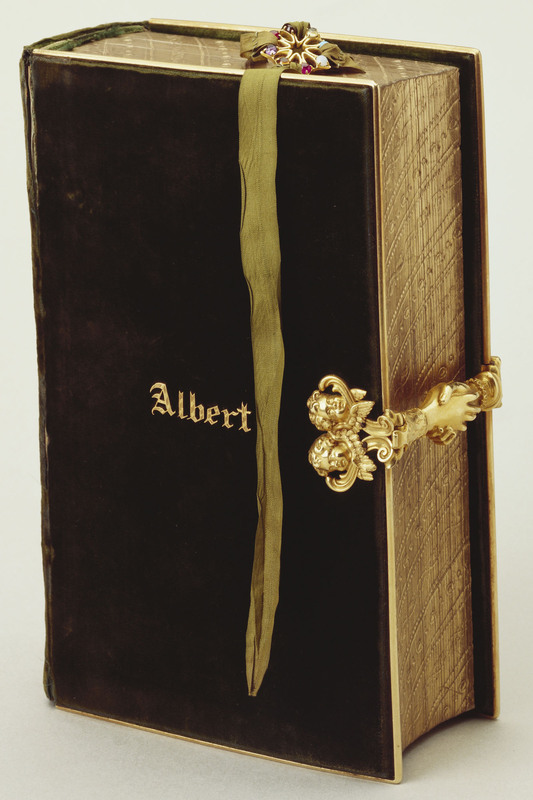 The German inscription on the inside cover of this prayer book states that it was given to Prince Albert to commemorate his wedding day by his ever-loving aunt, Victoria. It was written by Victoria, Duchess of Kent, who was both Prince Albert's aunt and new mother-in-law. A tiny gold shield on the back is engraved with the date of the wedding, 10 February 1840. The two clasped hands, which form the fastening, serve as a reminder of the joining of hands in the marriage ceremony.